Mornings. The time of day you either love or hate. It is an important time of the day for everyone. And whether you’re a power career girl or a busy mum, the morning really does influence how the rest of your day will play out. We know how time pressed you are, so if you find yourself in a hurry to get out of the house, these tips are for you. In one word- essentials! Only go for the essentials. Organisation- keep all your morning tools (moisturiser, makeup, hair pins, jewelry) lined up according to order of use. When you can see everything at a glance, you will never forget a step in your routine. Choose products that are convenient and designed to simplify your life. Schick has you covered with our range of time saving tools that will simplify your shaving routine. 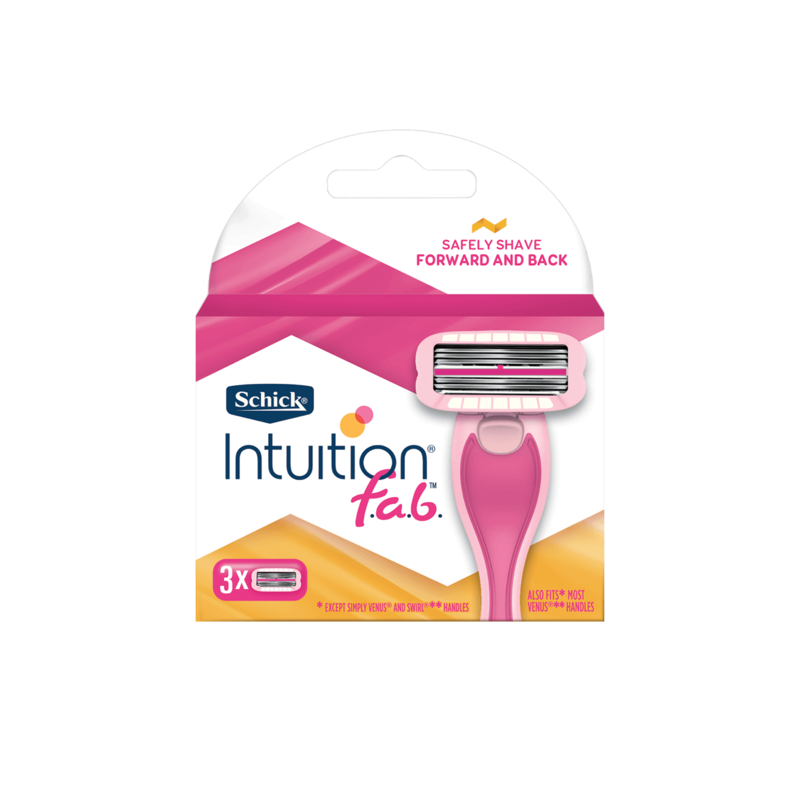 New Schick Intuition f.a.b is a revolutionary razor that can safely shave forwards and backwards for an effortless shave! Our unique bi-directional blades shave in both directions without lifting the razor from your skin. It’s the perfect tool if you’re looking for a razor that will make your shaving routine effortless. These tips will help you kick-start the day in no time and with no stress! 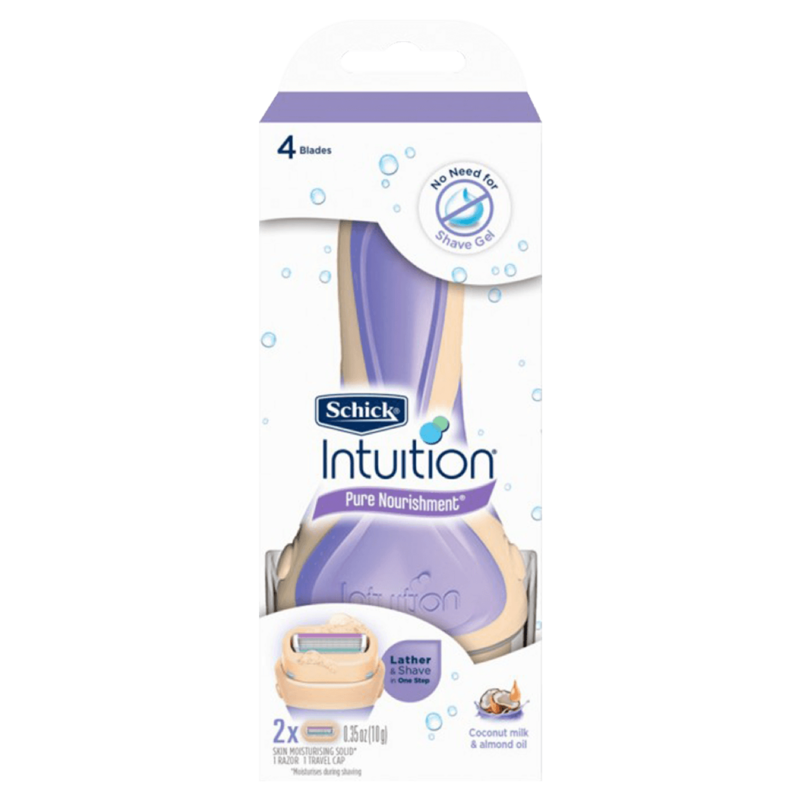 Schick Intuition is the only 3-in-1 razor that lathers, shaves and moisturises during shaving. Intuition contains ingredients to care for your skin as you shave. Its four ultra-thin blades and pivoting head glide easily over skin, making hair removal super simple. Intuition closely follows your body’s contours to give you a close, smooth, shaving experience. It lathers and moisturises during shaving in one easy step, leaving your skin naturally healthy looking and noticeably soft. There is no need for soap, shaving cream or body wash, saving you valuable time. You only need products that accentuate your natural beauty. Use spots of concealer around areas that require it, some powder to even your skin tone, a bit of blush for a radiant glow and a swipe of mascara. For true time saving, invest in multipurpose products such as a makeup palette that can be used on your cheeks, lips and eyes.